Suavo "Silky Smooth" Jones, Beale Street's "Youngest Living Legend," began playing trombone as a teenager in high school, attending Stax Academy. Suavo J, born and raised in the Home of the Blues, started off doing poetry just as a form of venting, but soon he let it go. In school, he was not the popular guy, just a regular kid who did regular things, that is until he decided to join the band. From there he became known for his newly found talent on the trombone. From challenging whole high school bands to winning numerous citywide talent shows, he easily stood out. Since graduating high school he has picked up the pen again in the form of hip hop and now does shows where he will randomly give the audience an unexpected hip hop verse. 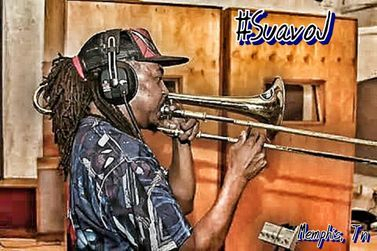 When you think of Memphis music today you should definitely mention Suavo J. He put down the trombone after high school, pursuing a rap career. Later, he picked his trombone back up and began to play again. He walked down to Beale and instantly impressed his fellow musicians. His hard work and dedication has gotten him work with many bands and artists from around the country and several genres of music, including Blues, Jazz, Latin, and Reggae. Currently he plays with the Ghost Town Blues Band alongside his partner, Jeremy, the Double A Band with Arean Alston, 4Soul, and in several other bands. Jeremy Powell, aka Mr. 88, was born in South Memphis and grew up just a few blocks from Stax Record Studios. As a young boy, he learned to play the drums in the church. Around the age of 10, he began to teach himself the organ and piano by watching his blind Uncle Jerry on the organ at church. He played trumpet and piano all throughout high school, and has continued to perfect his skills as a musician throughout the years. At the age of 17, Jeremy was playing the Blues in juke joints and holes in the wall throughout the city of Memphis, eventually landing a gig on Beale Street. For three years, Jeremy has played with the likes of Vince Johnson and the Plantation Allstars (2 time Memphis Blues Society Reps in the International Blues Challenge), the Ghost Town Blues Band (2013 International Blues Challenge Finalists and 2014 IBC 2nd Place Winners), the Eric Hughes Band, and many others. Now he has partnered with Suavo and Johnny to form the Bones. Johnny Webb, aka Johnny Bones, is a young drummer who grew up around the corner for Stax in South Memphis. Born in Pennsylvania and raised in Memphis, he started playing on the drum set at the age of five for tips. He played percussion throughout grade school and joined the Aristocrat of Bands at Tennessee State University. He also played drum set for church since he was twelve. Now he is drumming throughout Memphis and of course the famous Beale Street and is the perfect pocket drummer. He also adds his vocals to the mix for a few songs the Bones play. He is the perfect time keeper, and with his laid back personality and sounds, fits right in with the Bones. Colton Parker was born in Lexington Tennessee. 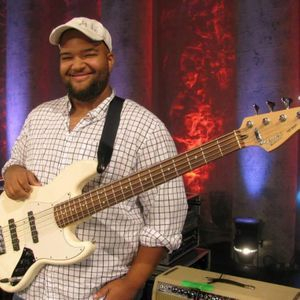 At the age of 12, Colton became interested in playing the bass after seeing it being played at church. 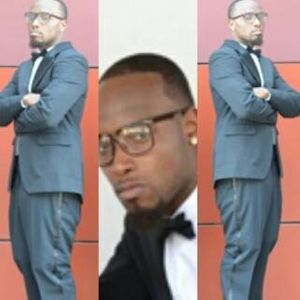 After graduating from University School of Jackson, he attended and graduated from Lambuth University with a bachelors degree in Entertainment Music. After completing his bachelors he has travelled and played for various artists while finishing his masters in business administration. He has opened for Genuwine and The Barkays with Jawaskia Lake at Oman Arena. He played the Orlando House of Blues with The Echoes Magical History Tour. He has also recorded with such acts as Denise LaSalle, Carl Mann, Rayburn Anthony, Josh Smith, Dave Thomas and Jupiter Stone. Singa Bromfield was raised in Memphis, Tn since the age of 5 weeks old. At the age of five he began teaching himself to play violin and progressed to guitar. By age 14 he became a published songwriter and musician for writing the Alma Mater for his Jr high school American Way Middle. He continued in song writing and performance throughout his school years in talent shows, community events and eventually got accepted to the Berklee College of Music in Boston Ma, in 2009. In the years of 2007 through 2009 he attended the STAX Music Academy and Toured Australia in the STAX Summer Soul Tour. Singa is an Artist, Singer, Song Writer, Guitarist, Producer and Emcee and is constantly merging his many talents and creating his style of beautiful music. Singa had been featured in several newspapers and televised news a plethora of times. In the years of 2007 through 2009 he attended the STAX Music Academy and Toured Australia in the STAX Summer Soul Tour. Singa Bromfield's first album 'Latenight Jam Session' was released in 2010. He also headlined Beale Street's New Daisy theater in fall of 2010 featuring songs from the album and some from his first mixtape "No Feelins THE MIXTAPE". This driven youngster has coined the philosophy of "It's Retarded & Slow Down". He explains how life should be observed one moment at a time. 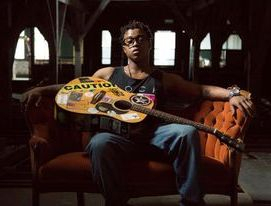 Singa is an Artist, Singer, Song Writer, Guitarist, Producer and Emcee and is constantly merging his many talents and creating his style of beautiful music. He is currently working on his up & coming EP, "On the Road". 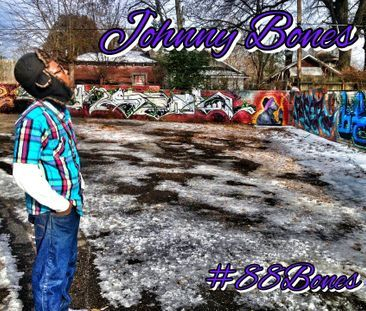 The Young Musician performs Throughout the U.S and abroad and joined Suavo J. and 88Bones in early 2015. Jeremy Deron Williams, aka Jmac, is 27 years old and from Memphis TN. He started his music career playing drums at about 7 years old, and began playing Keys and Organ around the age of 14. He started in church and will always love and do gospel music, but he want to be involved in all music, period. He attended Raleigh Egypt High School, Middle College High School, and Manassas High School. His senior year in high school, he was music director at his church. He also played in the college jazz band two years at Southwest Tennessee Community College. He knew then that he wanted to take music to the next level. After that, he began playing small parties and banquets, eventually ending up on Beale Street, where he met the Bones, joining them in April 2015. R & B. they have the ability to bring people from all walks of music together. These bones have two goals: to expose the world to Memphis Soul through the Instrumentation of the Music, and to put some of that soul in your bones!